Get the scoop on some of the more unique offerings on the market, from walnut shells and recycled pine to whole-kernel corn. For a cat parent, finding the right litter is probably one of the most important things you can do for your cat’s happiness, as well as your own. But where do you even begin? There are so many options. 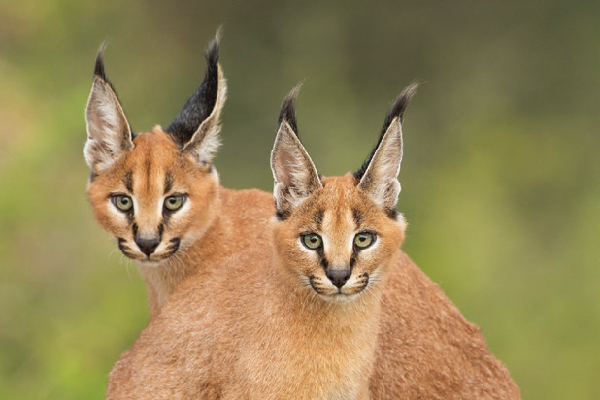 Every cat is different, so cat parents need to try different types until they find the one their cat prefers. Some cats are fine with whatever you put in the box; others make you test every single brand on the market until they settle on one. Here are a few I’ve tried recently that are worth considering. You may have noticed that World’s Best Cat Litter has a cult-like kitty-litter following. That’s because it clumps extremely well and is a power player in odor control. And, for people looking for an all-natural solution, this hits all the marks -ÔÇô it’s low tracking and low dust as well. It’s made from whole-kernel corn and is available in regular clumping, multi-cat clumping, and lavender-scented multi-cat clumping versions. I’ve tried the lavender scent and it smells nice without being too overpowering, but that’s my perference. If either of you aren’t crazy about lavender, or scents in general, stick with the original formula. 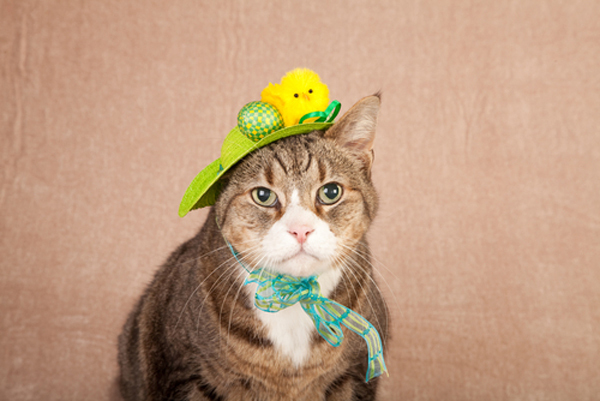 Dr. Elsey has been working hard to get problem kitties back into the litter box for years. 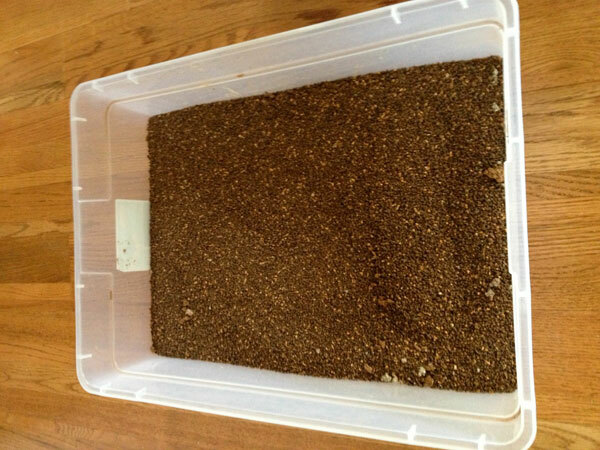 His Cat Attract clumping litter includes a proprietary natural-herb blend, which, well, attracts, cats to the box. Plenty of people swear by this litter for cats who need some encouragement to use the box again. 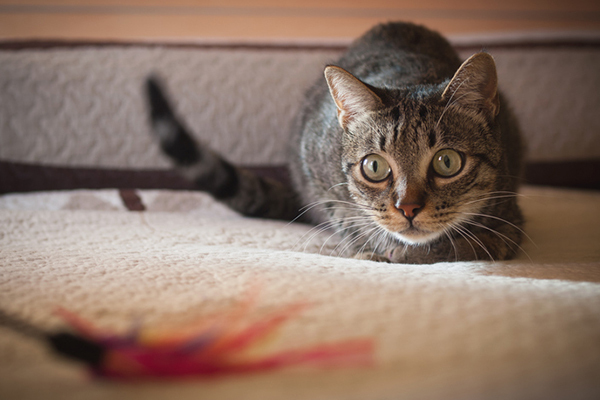 That alone makes it worth checking out if you’re facing challenges with your cat. It clumps well and the tracking isn’t too bad, either. I don’t notice any odor issues with this litter, so that’s a bonus. Dr. Elsey makes all kinds of other special litter products for kittens, seniors, and even for cats with respiratory issues, so there’s a little something for everyone! 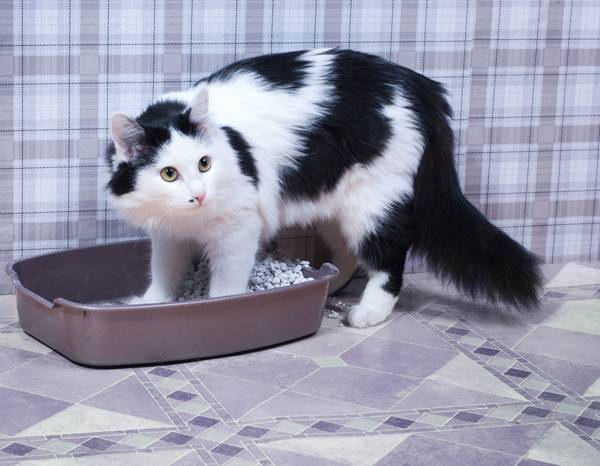 This brand-new litter system promises to change litter-box technology forever. 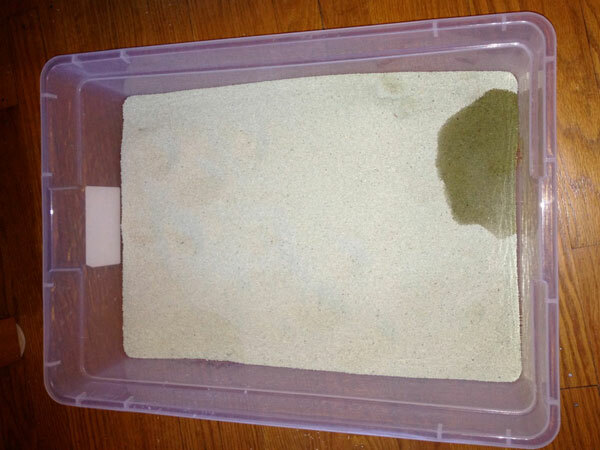 The FreshAir "system" consists of very fine litter poured on top of the company’s patented Odor Elimination Pad, which is placed in the bottom of the litter box. No special box is needed. This litter is not made to clump. The manufacturer claims that as soon as urine hits the litter, it begins to break down. According to the Pet Loo, the ammonia in the cat urine turns into nitrogen, and the bacteria is killed by the carbon released by the Odor Elimination Pad underneath. I have to admit it was a little unsettling not to scoop clumps of urine. But within a half a day or so, the urine spots dissipated. There was zero smell coming from this box after testing it for 10 days. While the urine spots dry up, you still need to scoop the poop. However, the poop itself dries up very quickly, leaving no smell there either. I found Tidy Cat’s new-to-the-market Pure Nature litter interesting because of its blend of several popular natural substrates. The smell of this litter was overwhelming when I first opened the bag. I stuck it out in the name of experimentation, and I’m glad I did — I can tell you that the smell dissipates. After a few days, it has a nice, pleasant, woodsy smell, which contributes to odor control. What’s it made of? The package says, "Corn cob by-product sourced from seed corn production and cedar and pine recycled from construction, furniture and window manufacturing whenever available." It’s lightweight, which is a bonus when carrying the bag home from the store. But like all lightweight litters, it tracks a lot. 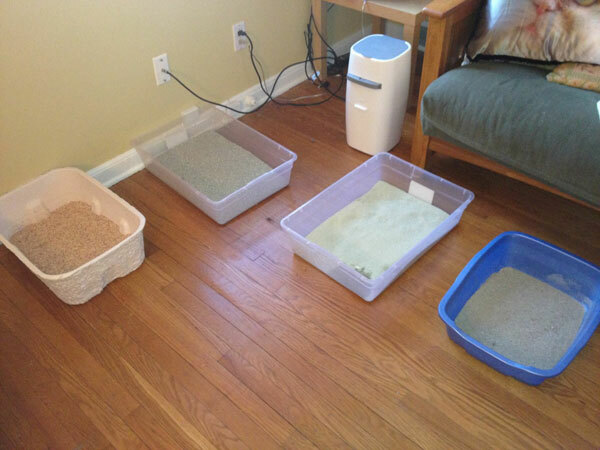 For cats who prefer a softer litter on their little paws, however, this is a good solution. Clumping is pretty good. 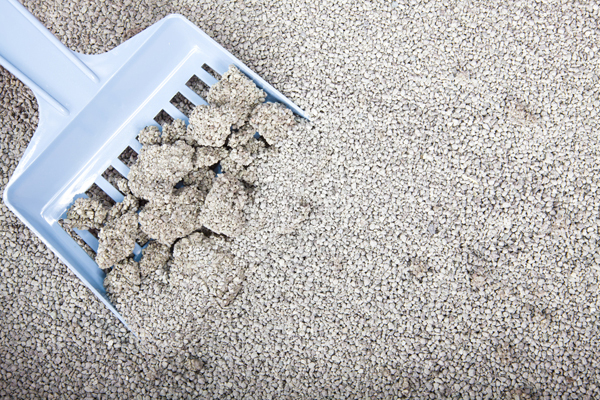 If you try to scoop right after your cat uses it, the "clump" will likely fall apart. But if you wait a bit, it definitely improves. It never clumps extremely hard, but it works. I was shocked when I opened the bag of Blue Buffalo’s Naturally Fresh 100% Walnut Cat Litter. It’s dark brown. I suppose that makes sense given it’s made of crushed walnut shells (duh! ), but it still surprised me. The shells are not as soft and fine as other litters, but that did not seem to bother my boys. What I noticed right away is its clumping skills. This stuff clumps like nobody’s business! Odor control is very good, and there is virtually zero dust with this litter. The drawback to the dark color is that it’s sometimes hard to see when the box needs to be scooped. This litter is low tracking but, like all litters, some always gets dragged around. If you have light-colored floors, you will definitely notice the dark specks of the litter in and around the box. I tried the regular formula, but it also comes in Quick Clumping Multi-Cat Formula and Non-Clumping Pellet Formula. When deciding on a litter, it’s helpful to offer a few at the same time, side by side, to see which your cat prefers when given several options. 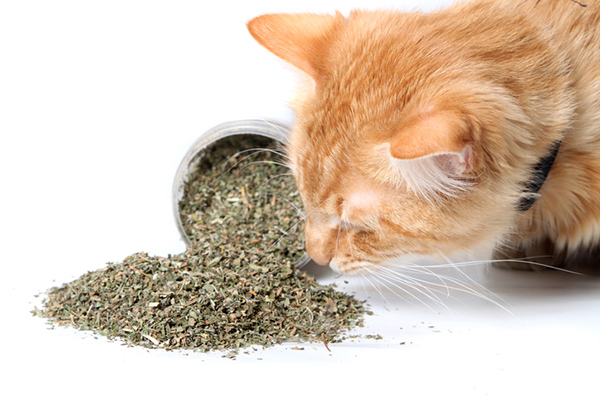 You may be surprised which litter your cat chooses!